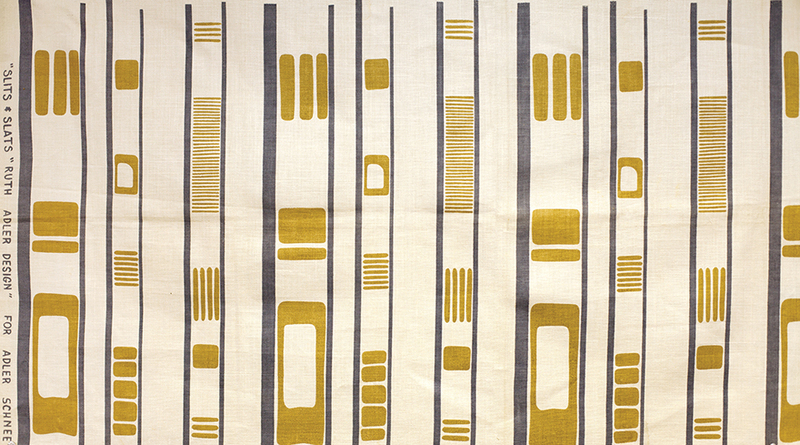 Ruth Adler Schnee distilled the optimism of midcentury modernism in her textiles. Now her work is receiving a well-deserved second look. Published on Thursday, January 31, 2019. This article appears in the December/January 2019 issue of American Craft Magazine. That idyllic childhood was abruptly interrupted; shortly after Kristallnacht, Schnee’s family left Germany, settling in Detroit in 1939. 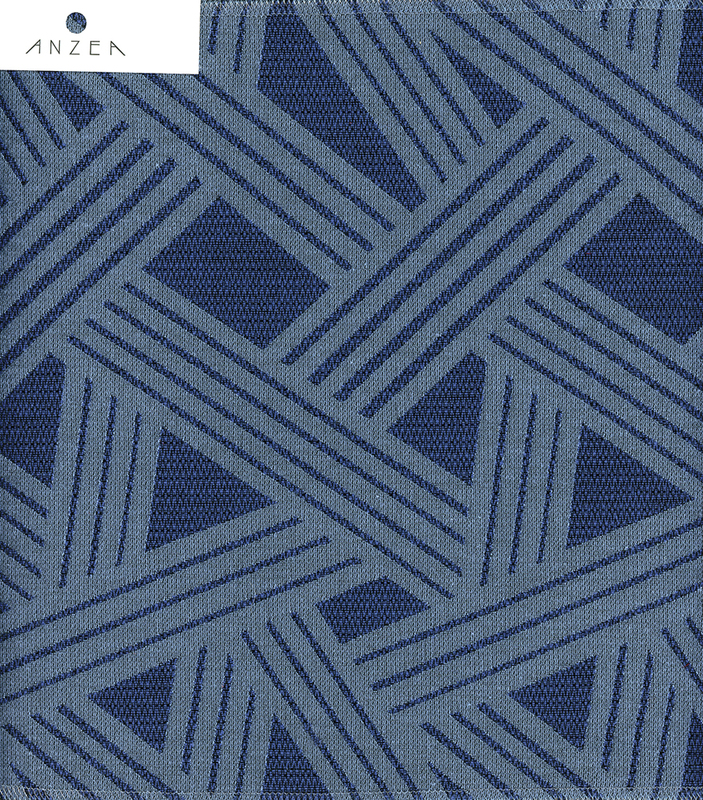 Schnee continued her education at the renowned Cass Technical High School before studying architecture at Rhode Island School of Design, returning to the Detroit area for her master’s degree at Cranbrook Academy of Art. 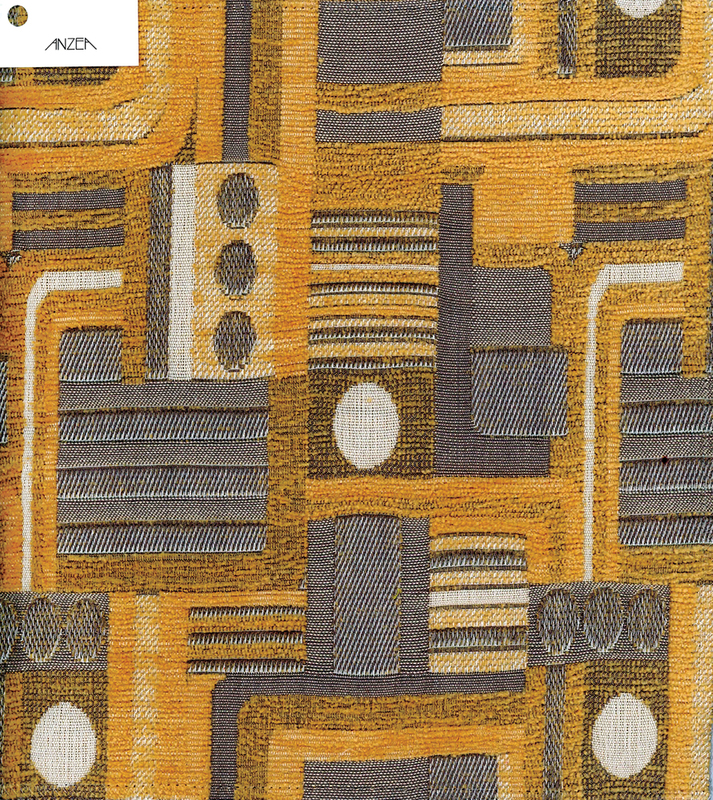 There, she studied under Eliel Saarinen, whose approach led Schnee to start exploring what, over seven ensuing decades, would become her trademark: intricate, idiosyncratic textile patterns that both channel a midcentury modern aesthetic and reflect Schnee’s distinctive view of the world. 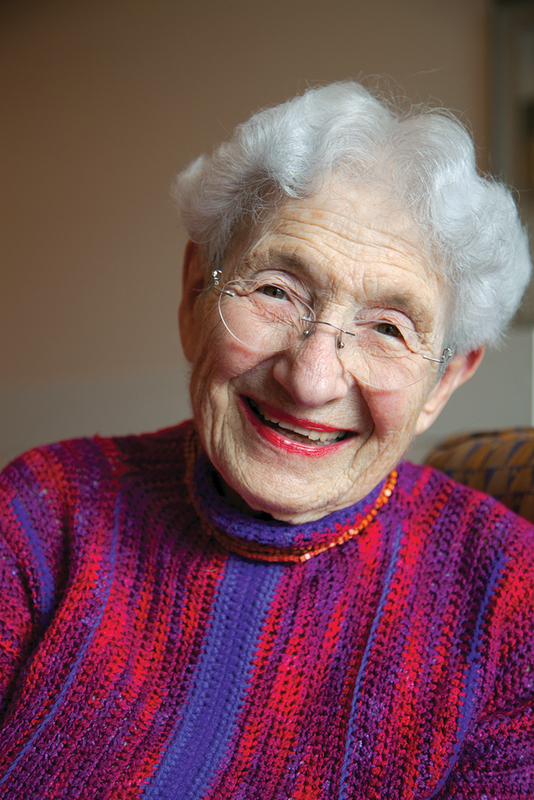 After graduating from Cranbrook, Schnee considered a career in architecture but found the doors shut tight – because she was Jewish and, worse still, a woman. “They wouldn’t hire women in architecture,” she remembers. “Absolutely not.” So Schnee and her economics-trained husband, Edward, opened an interior design firm in Detroit; he focused on the sales figures, she on the wares themselves. 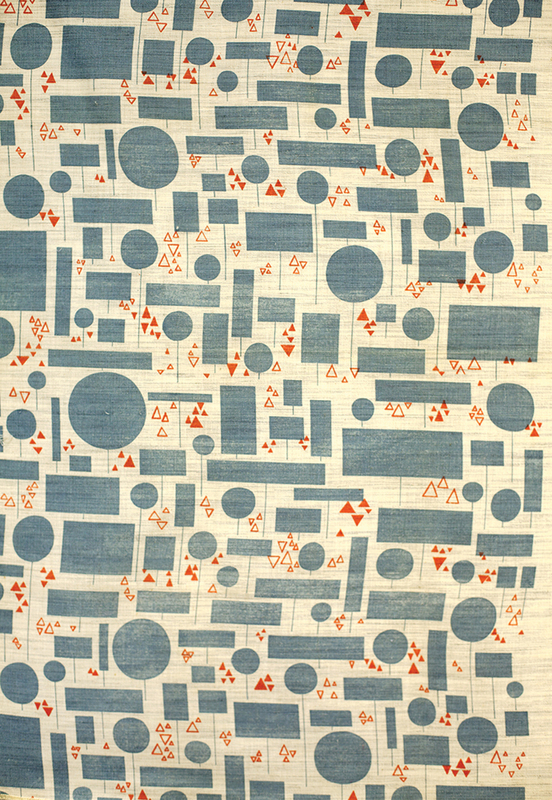 Among the goods available at Adler-Schnee Associates were some of her early professional forays into textile design. 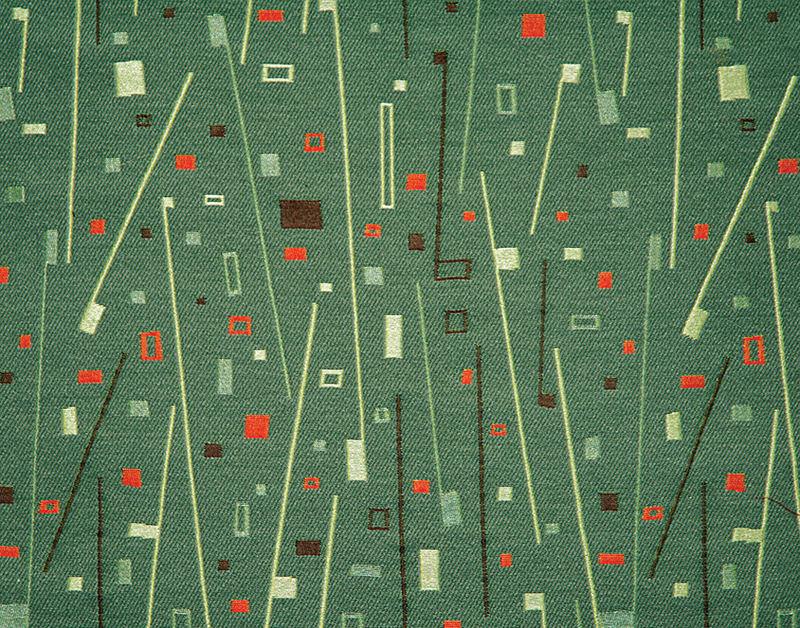 Schnee’s patterns, which they silkscreened onto fabrics, reflected a color-rich Bauhaus aesthetic and the bustle of mid-20th-century urban American life. 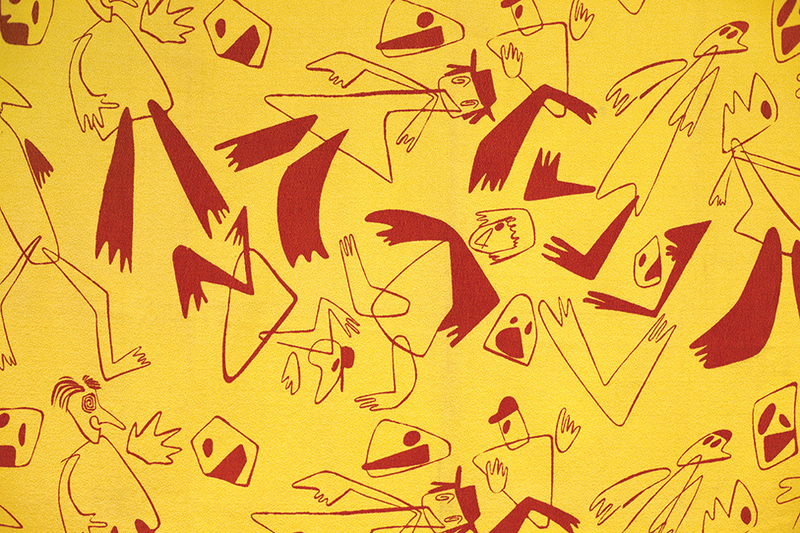 Humpty Dumpty, from 1949, features a burnt-red jumble of angled partygoers against a mustard-yellow background. (Edward often came up with the whimsical names.) 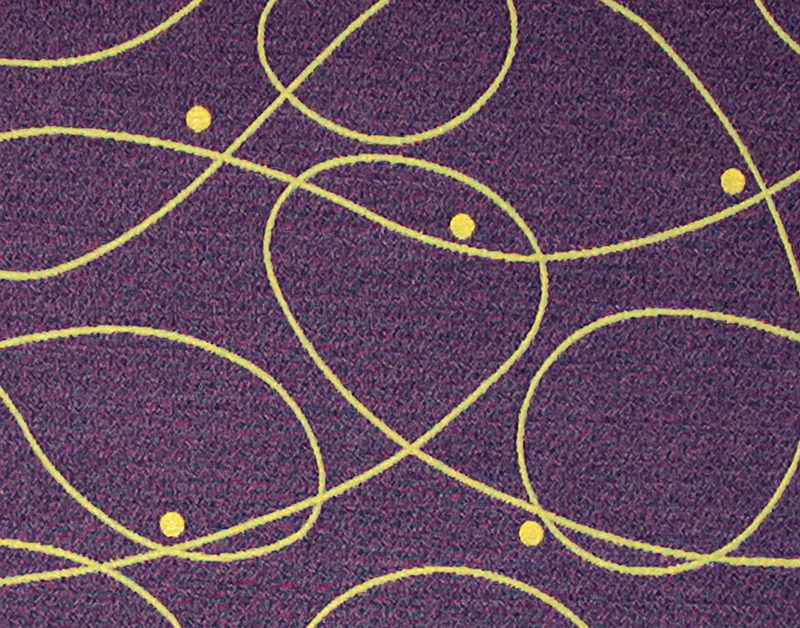 Fission Chips (1957) lays out rounded shapes in textured pinks and yellows. 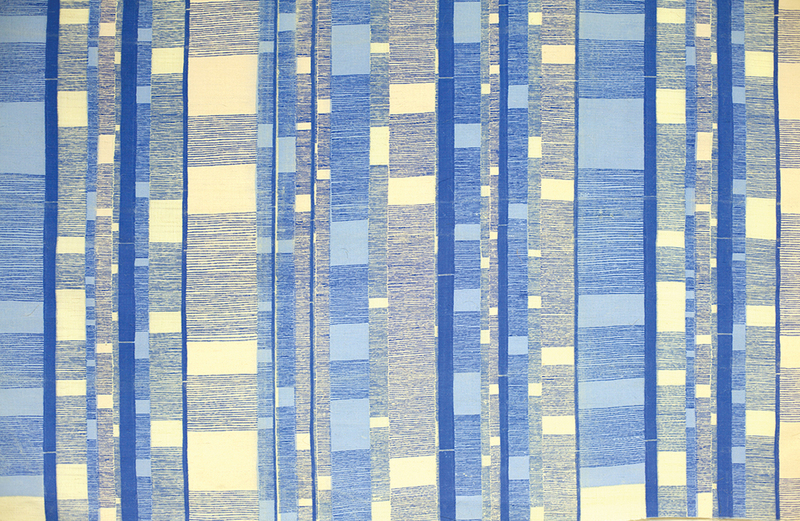 The blue-toned Plaid (1956) evokes a downtown cityscape in day and night at the same time. 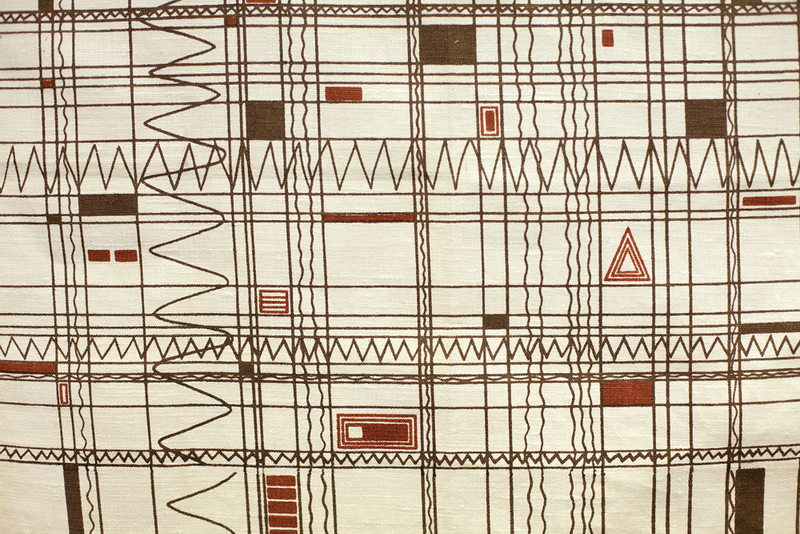 In those early years, her textiles garnered more critical acclaim than paying customers. “Eddie would spend hours trying to tell people how beautiful the designs are, how simple, and they just didn’t believe him,” Schnee remembers. 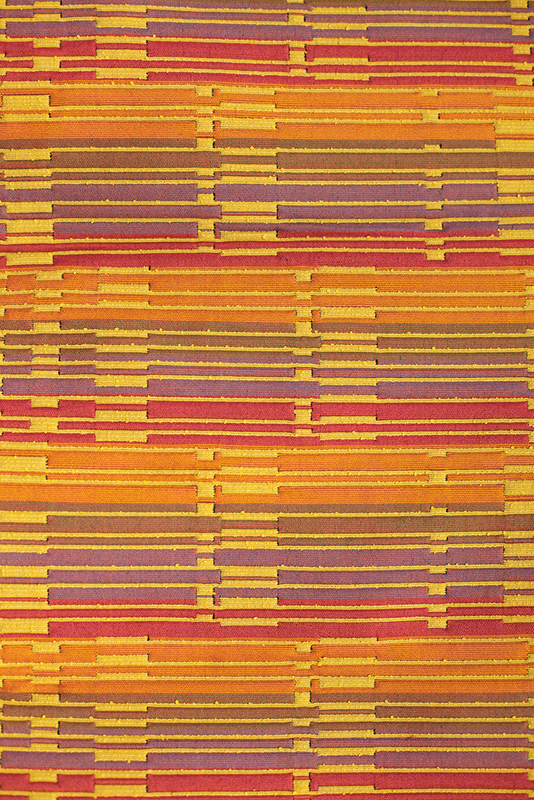 But, as the public turned back to the midcentury look some 40 years later, her work found new life. 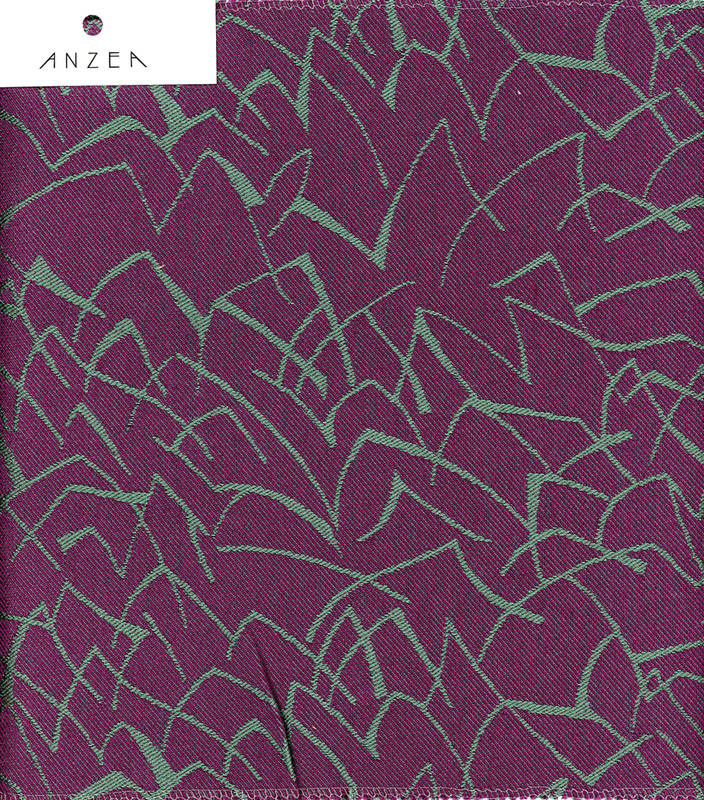 In 1994, she began to work with upholstery company Anzea, which rereleased old patterns and gave her the opportunity to create new ones. 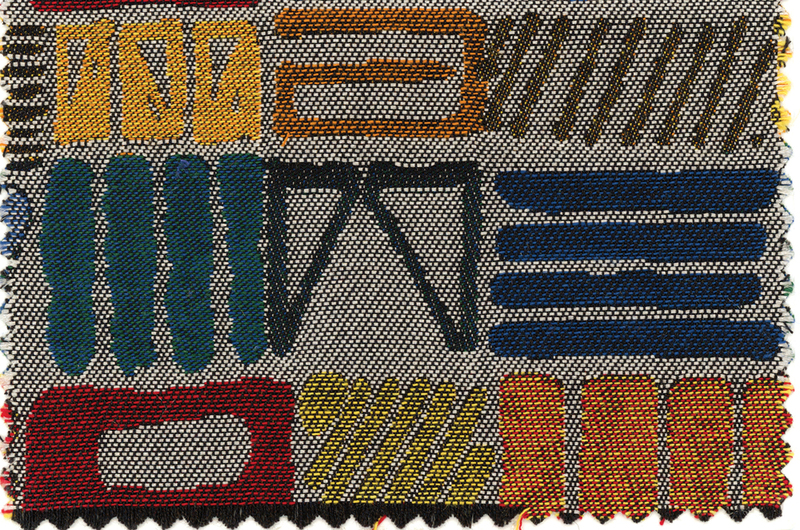 She began a similar collaboration with Knoll in 2012. 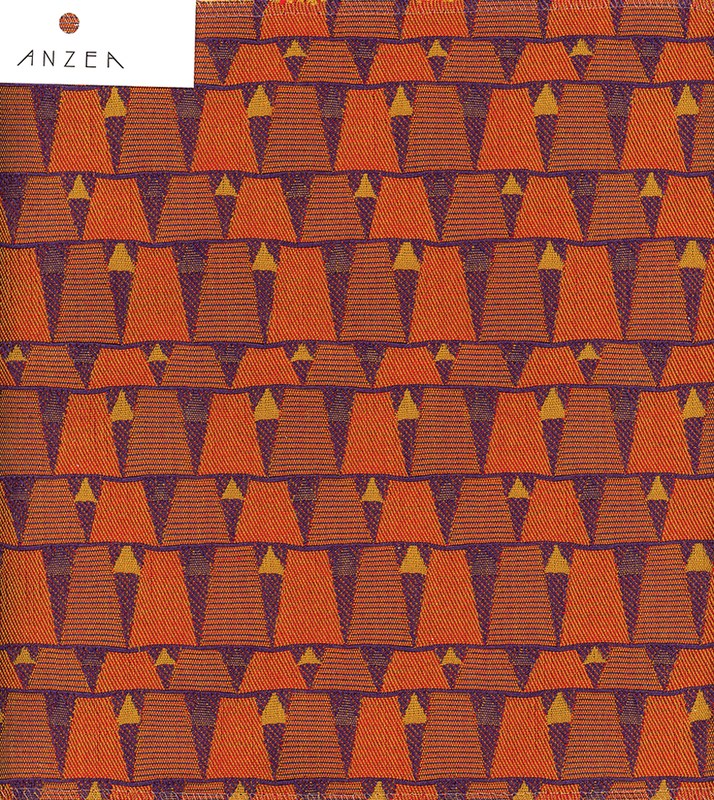 Recently, Schnee has taken a break from producing new textiles; she recently wrote the foreword for a book on architect and textile designer Alexander Girard and is helping restore a Girard house in suburban Detroit. She credits her adaptability to her education in Germany and the US and worries that the next generation of artists won’t be so lucky. “They don’t teach it in schools,” she says – “to look and see your surroundings, and see them as designs.” She stands as proof of the wonder that can come from learning to look around.